Consultants Group (Pvt) Limited Karachi Sindh. 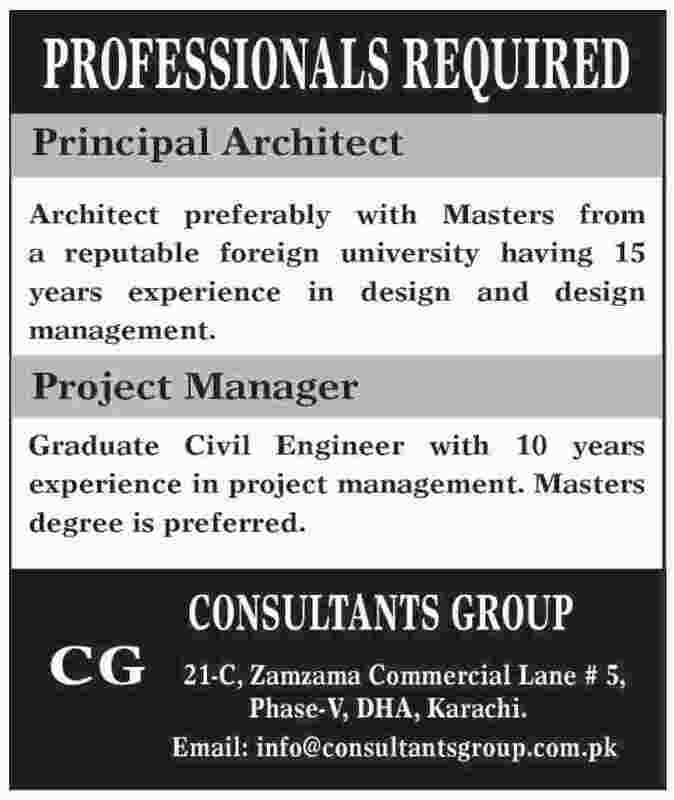 Architect preferably with Masters from a reputable foreign university having 15 years experience in design and design management. Graduate Civil Engineer with 10 years experience in project management Masters degree is preferred. CG21-C, Zamzama Commercial Lane # 5, Phase-V, DHA, Karachi.